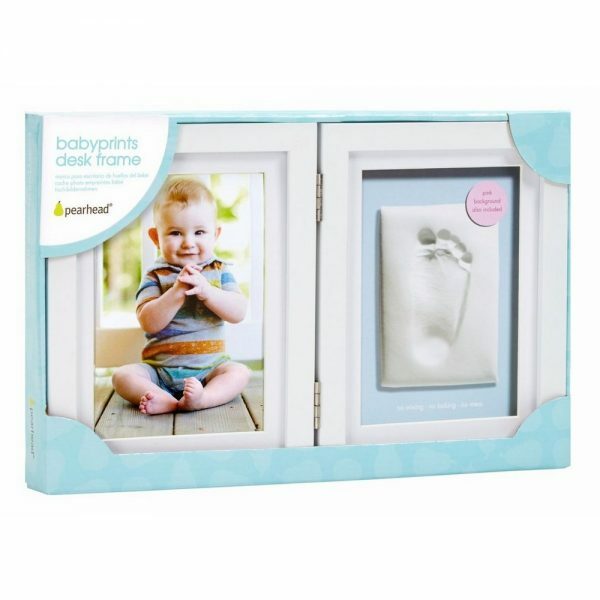 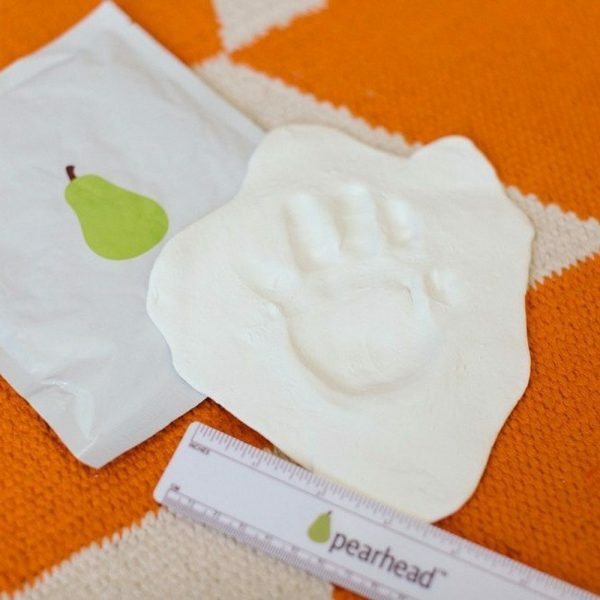 Simple and classic, Pearhead’s Babyprints Wall Frame is a favourite with new parents. 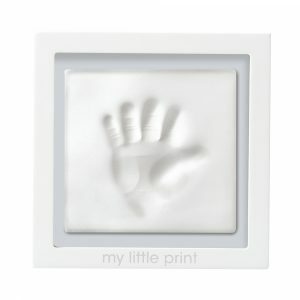 Frame your baby’s photo along with their hand or footprint in this sophisticated hand-finished wooden shadowbox frame. 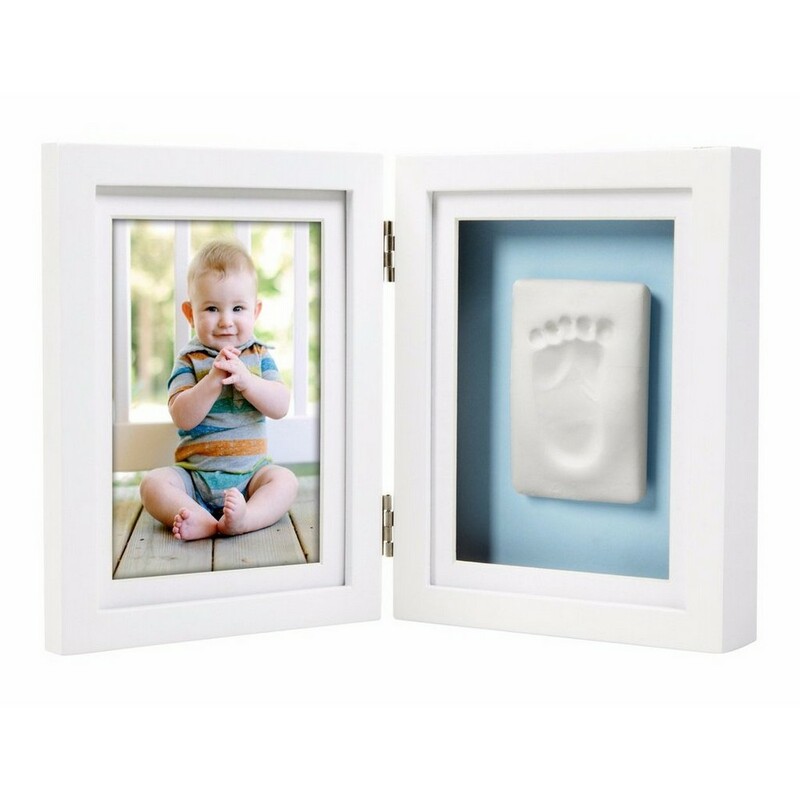 Includes a reversible pink and blue background board, and beveled mat to display an adorable little photo. 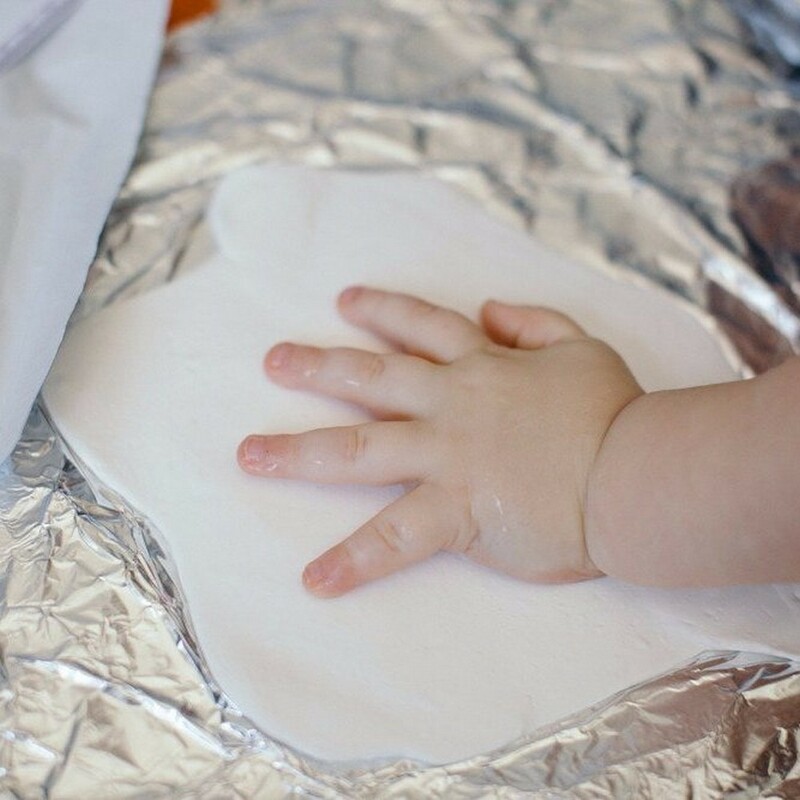 Easy to use – no mixing, no baking, and no mess!